Following her divorce, Dr Lizzie Browne decides to leave her London practice and start anew in Stibbington, a small town on the south coast of England. Almost as soon as she arrives, Lizzie gets involved in a murder case, which results in her friendship with DCI Adam Maguire. Lizzie values the friendship and is fascinated by the criminal investigation process; however, she does not anticipate getting involved in any more murder investigations. 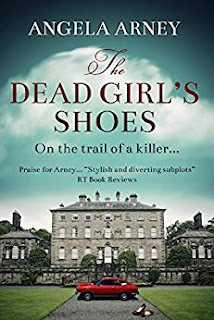 At the start of The Dead Girl’s Shoes, Lizzie attends the launch of a new perfume, in order to support her daughter who works in Public Relations and has set up the event. The perfume was created by Simon Villiers, the son of a locally prominent and not much liked family. During the launch, Lizzie witnesses a disagreement between Simon Villiers and a pretty young waitress and discovers that the girl is Jemima Villiers, Simon’s cousin, who was brought up by his parents after her own parents died. Jemima and Simon’s sister, Ruth, are students who take waitressing jobs to earn extra money. In the dark car park, as she is leaving the event, Lizzie hears people quarrelling and thinks that one of them is Jemima. A short while later, Lizzie is driving home when she sees Jemima struggling with her bicycle, which has a flat tyre. A small red car pulls up and Jemima gets into it. Lizzie returns home and thinks no more of the matter until Jemima’s dead body is discovered. It soon becomes clear that the Villiers family is unhappy and dysfunctional with many long-buried secrets that are still causing problems in the present day. Mrs Villiers, Jemima’s aunt, is one of Lizzie’s patients and she gets drawn into the investigation. Another violent death occurs and Lizzie realises that probing too deeply can be dangerous and she too is in peril of her life. The Dead Girl’s Shoes is the second in the series featuring Lizzie Browne. It has an interesting plot and lively characters and Lizzie and Adam Maguire are likeable protagonists. It is a very enjoyable read and hopefully there will be more in this appealing series. Angela Arney was born in Hampshire and went to school in Winchester. Since 2001, she has lived in Marchwood, near Southampton. 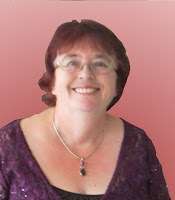 As well as writing, Angela has interests in amateur theatre both as a performer and director for plays and musicals. Her old jobs have included shorthand writer, cabaret singer, teacher, hospital administrator and caterer. She has been a performer in musicals playing character parts with local societies at venues including the Mayflower Theatre. She has directed for large musicals with Southampton Musical Society and smaller productions for Phoenix Theatre Company. 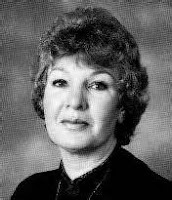 Angela has been a published writer of successful romantic novels since 1984, and has had 16 romantic/thriller novels published as well as four mainstream novels. Angela has a son a daughter, and four grandchildren. Carol Westron is a successful short story writer and a Creative Writing teacher. She is the moderator for the cosy/historical crime panel, The Deadly Dames. Her crime novels are set both in contemporary and Victorian times. The Terminal Velocity of Cats is the first in her Scene of Crimes novels, was published July 2013. Her latest book The Fragility of Poppies was published 10 June 2016.